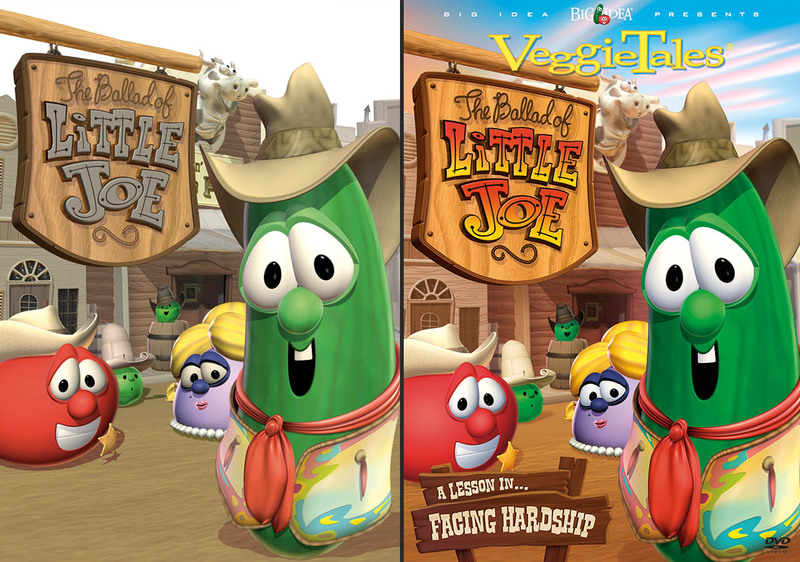 I’m often asked about my time working at Big Idea (VeggieTales®). It was 10 amazing, productive and eventful years working with some of the most gifted people in the business. This is the first of a series of posts focusing on those years. 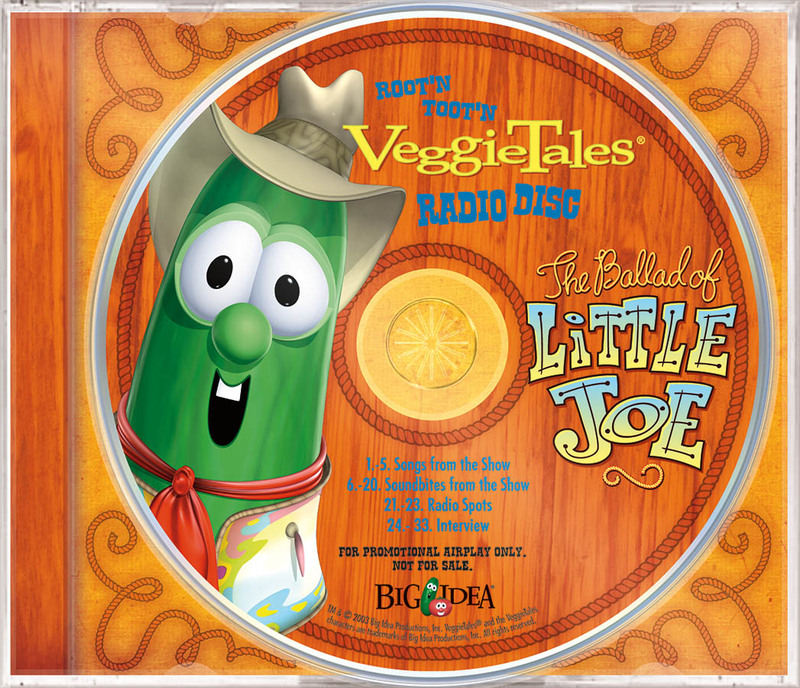 The Ballad of Little Joe was released in 2003. During its production, Big Idea was going through significant turmoil as a business. It was the year that we went bankrupt and were sold to the highest bidder at auction. The bankruptcy issue is really interesting, and if you want to learn more about that part of the story, I encourage you to read Phil Vischer’s book Me, Myself & Bob. I am going to instead focus on what it was like to actually attempt to be productive in the midst of the chaos. 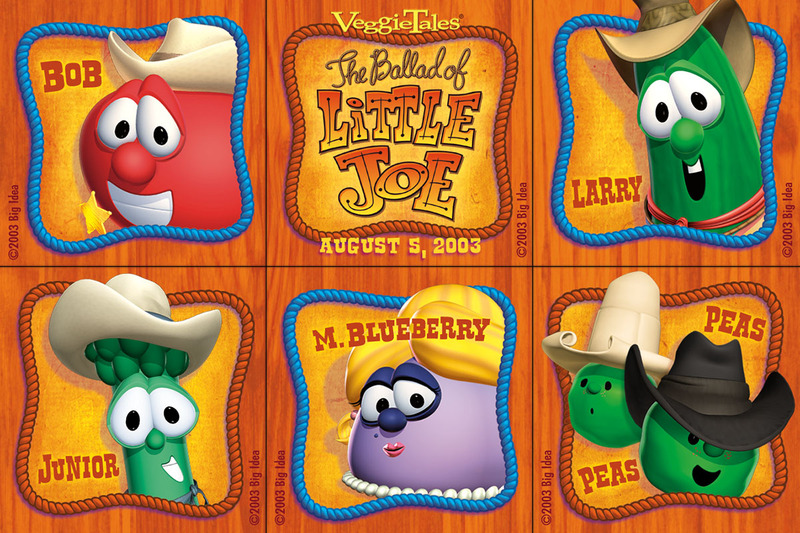 When the big layoff hit in October 2002, I was a design manager responsible for a team of artists. I lost my entire team, and my job as manager was eliminated. I was asked to accept a Senior Designer position. As such, it remained my responsibility to design the campaign key art and supporting graphics. 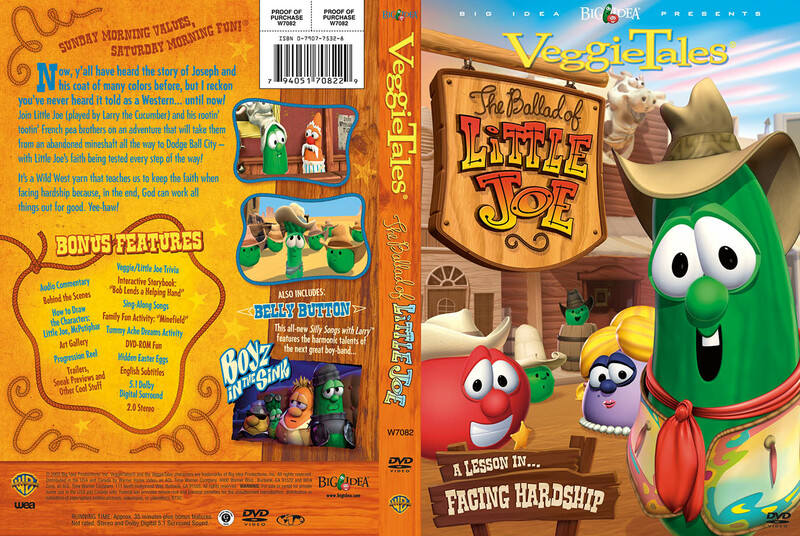 Little Joe was my first major project in my reassigned capacity. The work was therapeutic, allowing me to escape into nostalgia and pop culture, keeping my mind off of the uncertainty of further layoffs. As many were getting their portfolios together and looking for new jobs, I mostly kept my nose down. I did pull my portfolio together out of prudence, but if I was going to lose my job, I wanted to make the most of the time that I had left, so I didn’t go looking for something else. Working at Big Idea was never just a job to me – it was an opportunity to make a difference in the world, and I wasn’t about to walk away from it. I certainly don’t begrudge anyone for doing so at that time – any sensible person would – it just wasn’t what I thought I was supposed to do. Click through the gallery in this post to see full-size reference images. The look of the shows comes from the production studio’s Visual Development team. I always began with what they were doing, then I looked for references within that framework. 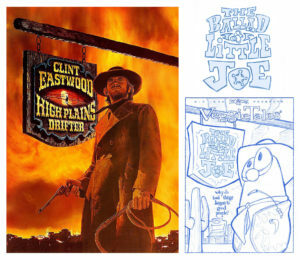 For Little Joe, I looked at posters and typography of classic westerns – John Wayne, Gene Autry, Clint Eastwood and others, and I sketched up a few options. 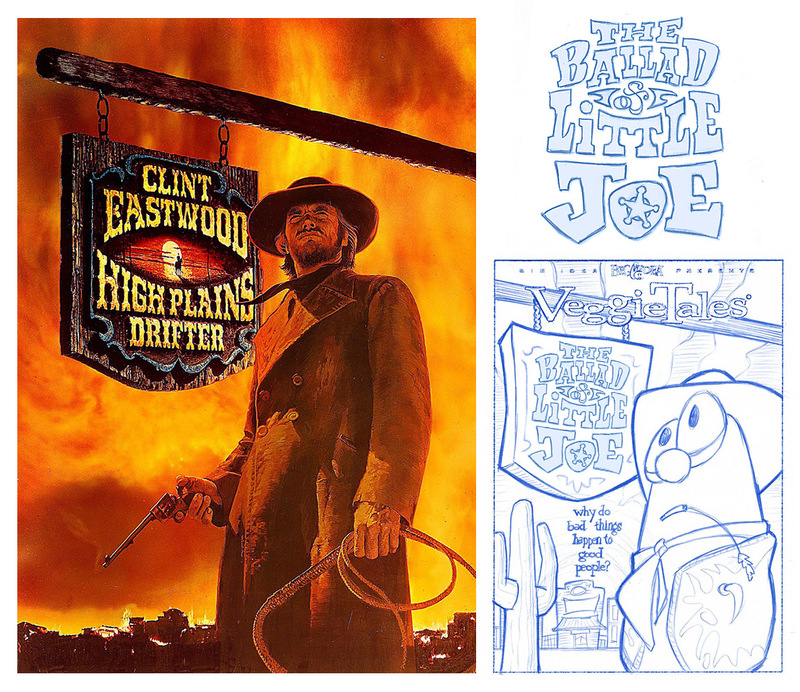 The layout that everyone agreed on was based on Clint Eastwood’s High Plains Drifter. As with other campaigns, Marketing always needed the show logo first, usually presented within a teaser image of some sort. My initial thought was to continue with the Clint Eastwood look for the logo, but it felt a bit severe. 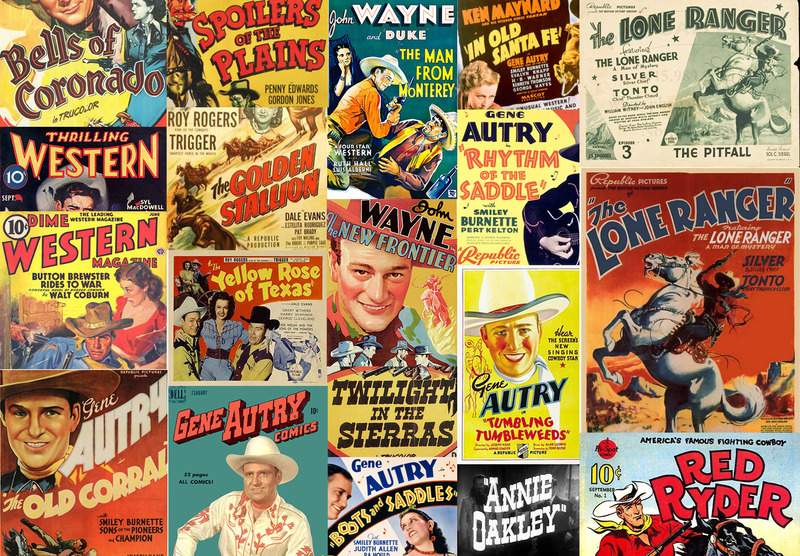 The graphic look of the Republic Pictures films from the 30s and 40s had a more nostalgic and warm feeling – more “back in the saddle”; less outlaw. In the end, we had a layout inspired by High Plains Drifter with typography and graphics inspired by Gene Autry and John Wayne films. As always, the approved sketch was provided to the 3D Illustration team to begin production on the final art. They used the models from the show where possible, but sometimes they needed to create new 3D models based on the needs of the sketch – the overhanging sign, for example. Once the renders were complete, they were back on my desk for color work and other enhancements in Photoshop. 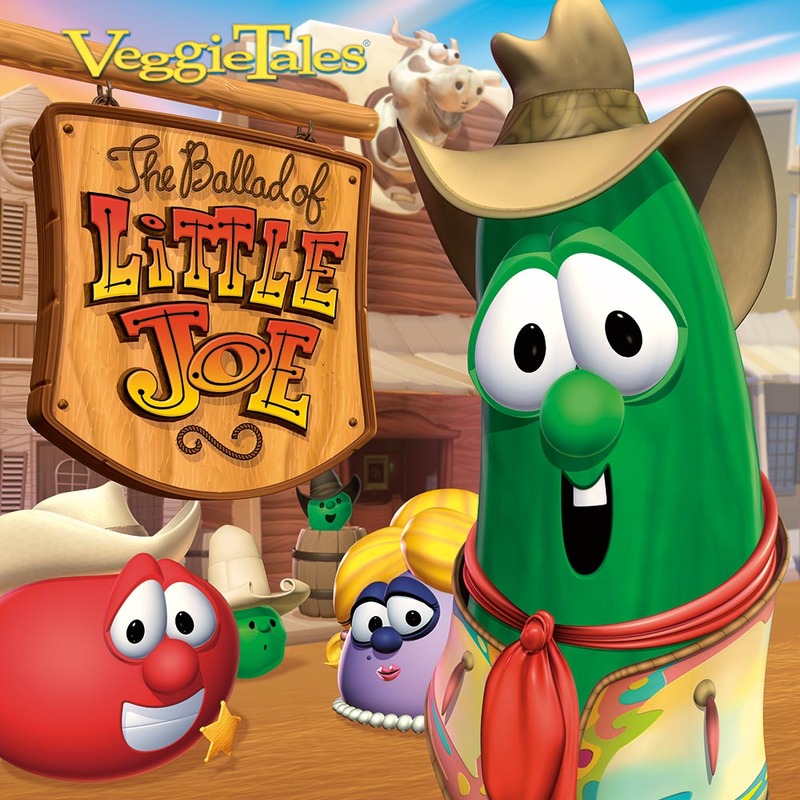 To this day, the Little Joe campaign remains one of my favorites. Working on it was a meal of joy from a menu of tragedy, much like the story itself. Click through gallery to view full-size images. 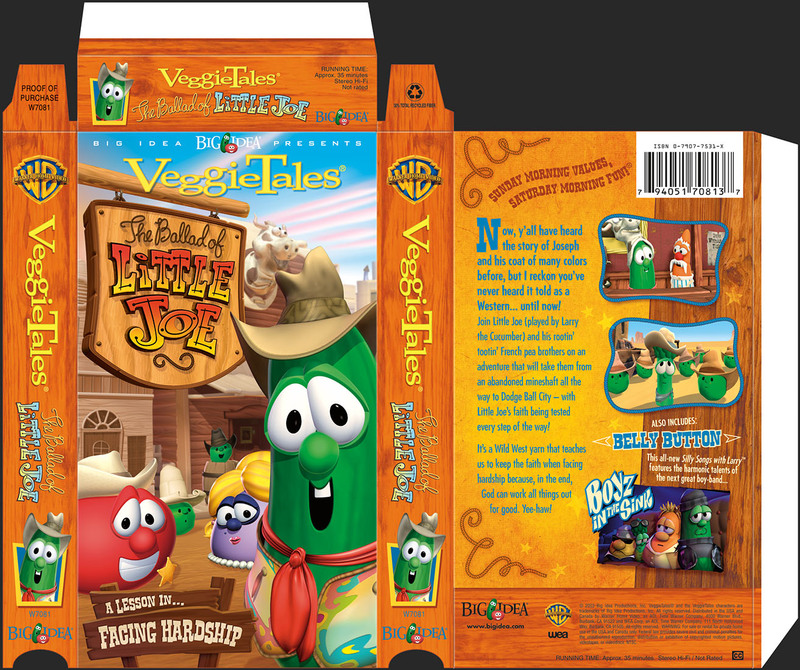 VeggieTales® and the VeggieTales characters are a registered trademark of Big Idea Entertainment, LLC.